If you’ve been on the internet lately, you’ve probably come across the story of the West Virginia lawmakers who lifted the state ban on drinking raw milk. If not, here’s the gist: they repealed the ban, drank some raw milk to celebrate, and then likely got ill from drinking said raw milk. It’s incredibly ironic and, if you have a dark sense of humor, borderline hilarious. But why are people interested in drinking raw milk in the first place? It seems that raw milk is largely a by-product of the natural food craze. Because raw milk is not pasteurized or homogenized, people think it’s a purer, less-processed food. Many folks believe it is the healthiest possible way to consume milk. In fact, that could not be further from the truth. Raw milk consumption is one of the most dangerous health trends, and it’s a prime example of why certain types of processing are very necessary. 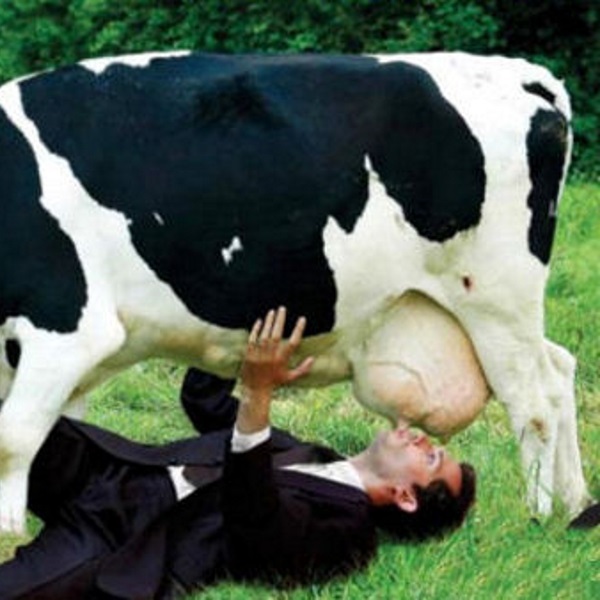 Here’s why you’d have to be an idiot to drink raw milk. Why Does Milk Need to Be Processed? Pasteurization, invented by French scientist Louis Pasteur in 1864, is one of the most reliable methods for killing bacteria in certain foods and prolonging their shelf lives. Methods of pasteurization vary, but it usually entails heating a liquid to a high temperature for a short amount of time. Pasteurization is best known for the role it plays in milk. Milk is a breeding ground for bacterial growth—especially when it’s stored at ambient temperatures. Bacteria that can be found in raw milk include Salmonella, E. coli and Listeria. Pasteurization is incredibly effective at eliminating and preventing harmful bacteria that can grow in milk. The most popular form of pasteurization, known as high-temperature short-time, or simply “HTST” pasteurization—kills 99.999% of the viable microorganisms in milk. So Why Do People Drink Raw Milk? The desire to drink raw milk is rooted in the idea that the more natural and unprocessed a food is, the better. The internet is loaded with pseudo-science that purportedly explains why pasteurizing milk makes it an inferior product. Allegedly, pasteurized milk has less nutritional value and a higher risk of causing lactose intolerance and allergies than raw milk. If this were true, it would make raw milk an attractive option for anyone looking to maximize the quality and nutrient content of the foods they consume. Is Raw Milk Really Better for You? According to the Centers for Disease Control, unpasteurized milk is 150 times more likely to cause food-borne illness than pasteurized milk. According to the FDA, research shows “no meaningful difference in the nutritional values of pasteurized and unpasteurized milk.” There’s absolutely no evidence to support the notion that pasteurization somehow makes milk less nutritious. But plenty of data supports the fact that raw milk can make you sick. From 1998 to 2011, 2,384 illnesses and 284 hospitalizations attributed to raw milk consumption were reported to the CDC. If you drink raw milk, you dramatically increase your odds of getting ill. Even if you don’t get sick, you won’t be drinking a superior product. Processing has become associated with unhealthy foods, but certain types of food processing are demonstrably necessary. You wouldn’t eat raw beef for the same reasons you shouldn’t drink raw milk. You can choose from hundreds of foods that have been proven to reduce your risk of disease, improve your quality of life and—perhaps best of all—pose no risk of making you sick. Stay away from raw milk and focus on eating a healthy diet filled with fruits, veggies and whole foods.